What is the purpose of the louvered panel rack kits? 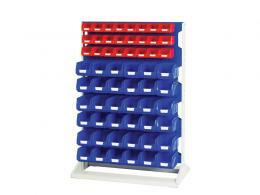 Louvred panel rack kits provide a basis for the storage of louvred bin kits in a simple and effective manner. These rack kits can be purchased with or without the louvred bins. They can be either mobile or static, depending on what use they are going to be put to. 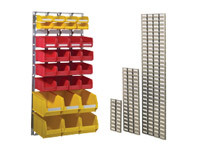 The panel rack kits provide a way for extending the stability of panel bins to a great extent, giving them mobility for use in a number of industrial situations. Probably the most common area of use for these type of louvered panel rack kits is in warehousing situations. These rack kits provide a static location for the storage of smaller items and (with the aid of color-coded bins) they can be used for sorting smaller items immediately, making it easier on workers and customers to access these items without having to waste time searching for them. In transport companies, these panels can provide mobile storage for both tools and utilities such as nuts and bolts, adding convenience to its utility tool storage ability. Mechanics of various types can utilise this storage solution, and benefit greatly from a piece of hardware that adds mobility to their tools and their utilities. 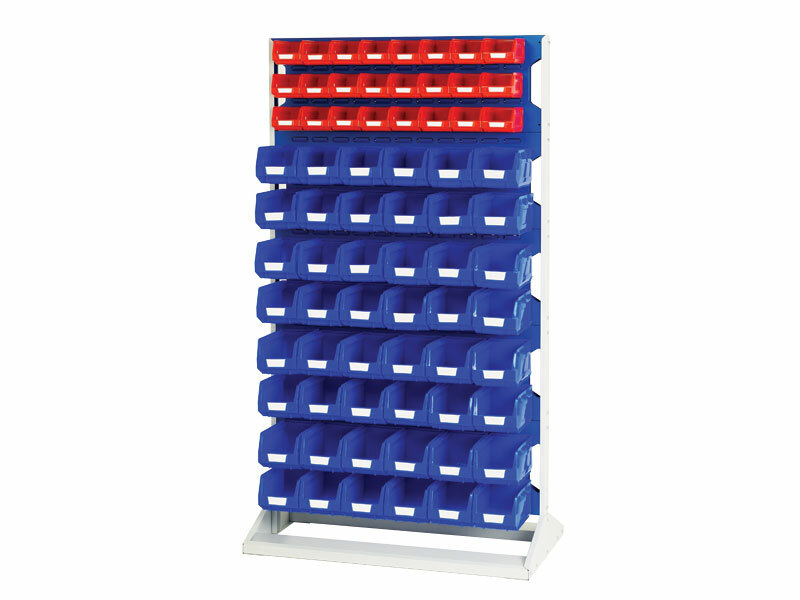 The colour coding ability (with the addition of plastic bins) allows for sorting of smaller items almost immediately, increasing the usability of the rack kits. 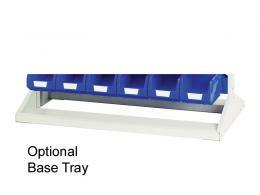 In warehouses and wholesale retailers, these rack kits can be statically mounted to allow customers a level of freedom when selecting the items they want to buy. Smaller items such as plumbing fixtures or nuts and screws are most likely to be stored in these, segregated using colour-coded bins. These racks are available at heights of 1775mm, 1450mm and 1125mm. The mobile fixtures come with 100mm castors, increasing their mobility on crowded floors. This rack is designed with grey frames accented by blue panels. The plastic bins that can be added to the purchase are available in both red and blue.